The archery range is a huge open area surrounded by trees so apart from being beautiful and quite it is always sheltered from the wind which means the arrows won’t get blown off target. There goes that excuse for a naff shot. The shooting area itself is under cover from the weather. The archery courses are strictly supervised by an instructor. Your course will start with the safety briefing and any safety equipment will be issued including arm shields and finger tabs. 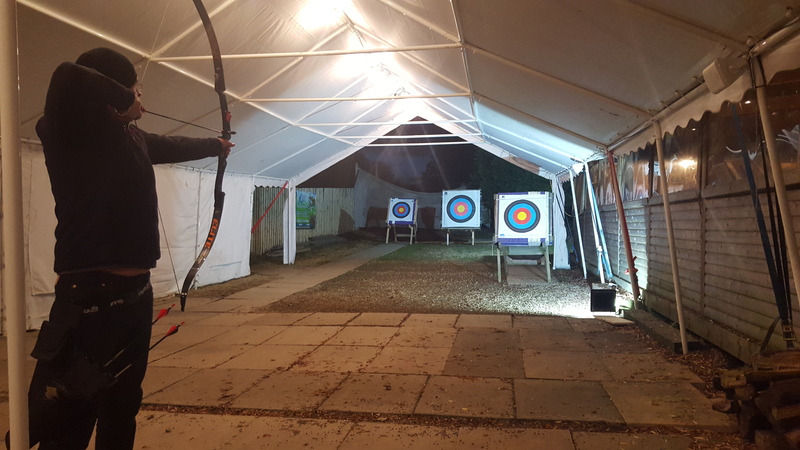 Our Archery range is equipped with several targets, we can alter the distance to match everyone’s individual ability. This is recommended for: Individual’s, corporate groups and Stag & Hen do’s. 1 Hour instructed course including all equipment and use of the range.